After a few weeks of indecision, we eventually settled on Copenhagen for a pre-Christmas #MattTheTrips weekend, a repeat of our 2016 winter adventure. If you haven’t already, I recommend that you look through the posts from that trip first here so that you get the full picture of our Danish exploits thus far. All caught up? Good. Well then it won’t surprise you one bit that we wasted no time in getting to a new Mikkeller establishment. Next door to their smørrebrød, akvavit and snaps restaurant Øl & Brød and the original Viktoriagrade bar, Mikkeller have opened an all-day brunch spot called Hyggestund. The name refers to hygge, a Scandinavian term for that feeling of cosiness and comfort that the Danes have absolutely nailed. Cue candles, impossibly soft rugs, and calming colour schemes. 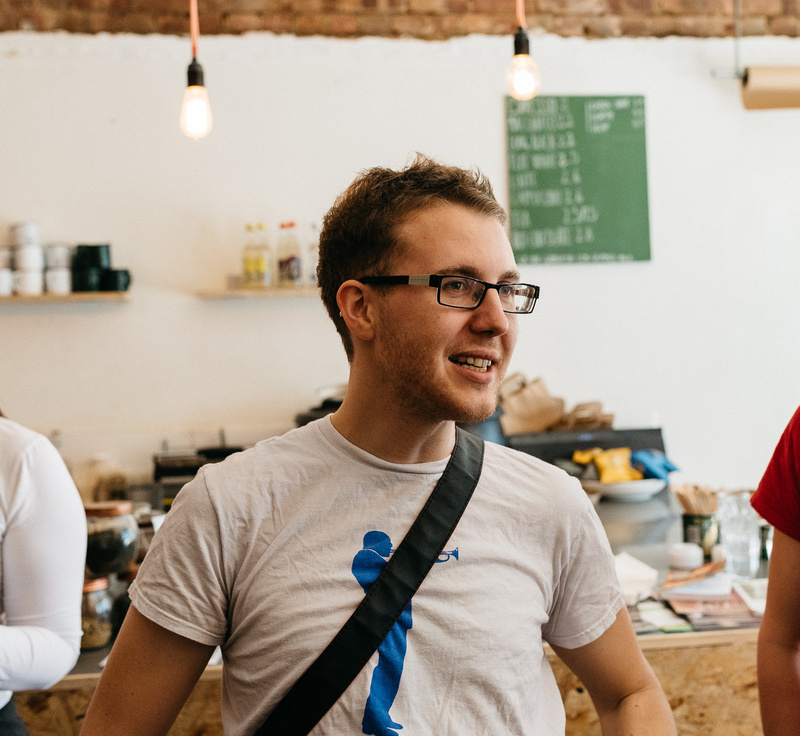 Hyggestund manages all that whilst also delivering tasty food inspired by the traditional American diner. We tucked into waffles, breakfast burgers and more, though it was a touch too early for a pour of their Beer Geek of The Day. From there, we went on a festive walk around various markets and boutique shops in the centre, taking in the likes of Wardrobe 19, Kortkartellet, Stilleben and HAY House. One of the highlights of our previous trip, the annual Christmas tables exhibition at Royal Copenhagen flagship store, was unfortunately a lot less impressive this time around. Post-shopping, we rewarded ourselves with a glass of wine at Ved Stranden, a charming natural wine bar and eatery along from their sister restaurant Admiralgade 26 and CUB Coffee Bar (which has replaced Copenhagen Coffee Lab). Ved Stranden hold informal wine tastings on Wednesday, and put on “staff food” at 100 DKK per person on Monday nights from 6pm. Feeling restored, we bounced our way along the waterfront (literally, on trampolines) and soaked up golden hour by Inderhavnsbroen (Inner Harbor Bridge) that connects the centre to Christianshavn. René Redzepi’s world famous Noma is currently relocating to Refshaleøen (joining the likes of Mikkeller Baghaven and Amass), but he held on to the original site and recently relaunched it as Barr in partnership with Thorsten Schmidt. It’s an inviting beer bar and restaurant, taking inspiration from Scandinavia, Benelux and the British Isles. There’s next-level schnitzel, frikadeller (Danish meatballs), beef tartare and more to enjoy on the food front, and a tonne of beers on tap in the bar area, some of which have been brewed by the Barr team in collaboration with other breweries. If you are lucky, they might have a bottle or two of Bokkereyder tucked away – ask nicely! It’s a beautiful, warm space that we lost a few hours in, and will definitely return to. Whilst in the area, we dropped in to The Corner, a relaxed all-day hangout attached to 108 (Noma’s sister joint) that has a pretty decent happy hour on beers and wines on tap. We sipped and snacked on sourdough bread, crispy sunchokes, and bizarre “Hot Dough Nots” filled with caramel and seaweed ice cream. Braving the cold, we crossed the Inderhavnsbroen once more and sought refuge in Den Vandrette, another superior wine bar (which we visited the year before). By this point, the ambitious 6am flight was catching up with us, and a horizontal Ella was ready to call it a night. 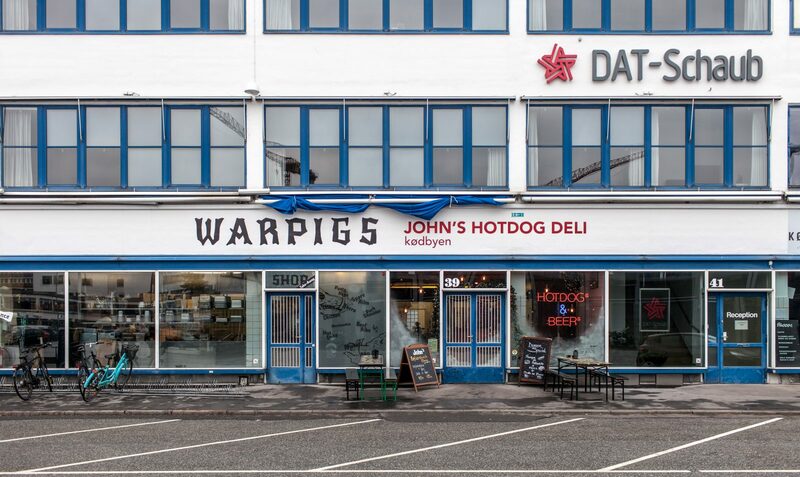 We bundled in a taxi back to our AirBnb in Vesterbro, but Tim and I powered through to have some cheeky beers near home at Mikkeller Bar and Warpigs (photos above), before a final food stop at the new Kødbyen outpost of John’s Hotdog Deli – a damn fine way to end the day.